Willow Creek Alpacas is nestled in a beautiful little cove between Franklin and Murfreesboro, Tn. We look forward to meeting you and showing you our animals whether you are ready to purchase or just considering alpacas for business or pleasure. We just love to show off our boys and girls. 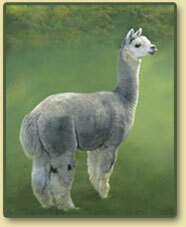 We have been raising award-winning alpacas since 2005. We started with two little huacaya boys and have grown our herd to twelve. Six girls and six boys. Two of our boys are fantastic herd sires and are ready to come visit your farm at any time. When you purchase your alpacas from us, we promise you ongoing support in every area. Whether it is what you will need to get started or breeding your first female, we will always be just a phone call away. We feel it is of the utmost importance to offer you guidance and support. Our alpacas are friendly and of very high quality. We raise our animals with a gentle hand and it shows in the way they respond. You do not have to acquire the most expensive animals out there to enjoy a sizeable profit and an incredible lifestyle. We would not trade anything in this world for the joy we experience raising these incredible animals. They are truly as soft and gentle as they look. There isn't a day that goes by that they don't bring a smile to my face.